My ancestors are like everyone else’s ancestors, I suspect: entertaining, frustrating, sometimes obstinately invisible, always playing hide and seek, changing our perspectives and perceptions of them and of ourselves. They leave us their legacies and properties, perhaps confident that we will care for them as they themselves would without considering that we might develop other plans. 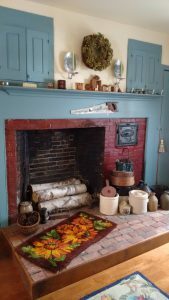 In July 2017, I contributed a post to Vita Brevis explaining why I was selling the homestead which has been in my family since 1777. 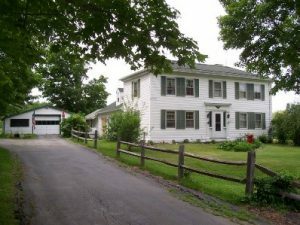 I had planned to move to northern Massachusetts or southern New Hampshire to be closer to my son, to be closer to those areas where my colonial ancestors put down their deep roots (e.g., Boston, as well as Essex and Bristol Counties), and to spend less of my retirement money propping up a 240-year-old house, and more on the fun things of life. After multiple, full-cash but incomplete offers, here we stay. My roots here are deeper than I thought and have quietly and securely tethered me to this land and this place. Like my family tree shows, those roots are knotted, lengthy, sometimes wholly confusing. I thought I’d take my family history and those knotty roots with me to those towns where my colonial family history began. I’ve found that my part in the family history belongs here and means to stay here in the family house, a few hundred yards from the family cemetery. Son appreciates the value of keeping the house in the family and is becoming more involved in the history of the house as well as the family stories. He’ll be the best old-house steward when I finally admit defeat. Obviously, I’m not done here yet; nor, it seems, are my ancestors finished with me. These pesky forebears must know more of what the future holds than I do. Since we took the property off the market, we have successfully accomplished more research, uncovered long-buried family stories, and with Husband and Son have continued to restore, improve, and maintain the buildings. The builder, Asa Williams, certainly should be smiling: he’s won! Husband says I’m chained to this land just as my father was. I think my ancestors just wrapped a knot of family roots around me. Yes, I blame them for knowing what’s best for me better than I know myself. They seem to know that there will always be more research to do on my pesky ancestors who lived here, more stories to uncover about their daily lives in this community and in the Old Fort Western settlement, and always more upkeep on My Old House. A new chain will be forged for Son, so I’ll do what I can to help him write the new chapter for His Old House. The new beginning is here, so I’ll scrape a few more layers of old wallpaper off the walls, rebuild the garden beds, try to gather the black walnuts before the squirrels do, and enjoy – still – the aroma from a cold kitchen of hot apple pie and coffee at three in the morning when we’re still in bed. It may have been the long way home (having never left), and my ancestors have given me my forehead-slapping “duh” moment: I’ll continue to be the steward of this family property as best I can, leaving to future stewards a better, if lengthier, legacy with all its knotted roots. I’ll try to bloom where I’m planted (just not too soon in that family cemetery, please). I, for one, am glad your ancestors had other ideas. Tearing down such a beautiful home, for any reason, seems a terrible waste. What a wonderful article and amusing, too. While I have no ancestral ties to the area where I now live, my house is in a trust which passes the property down to future generations of my progeny. After all, there’s only so much waterfront land . . . Thank you Jan. Always a delight. I agree with Dimple. Hurrah for Asa Williams’ win! A family’s heritage maintained and history preserved for future generations! My mother often said (after 60+ years of trying to maintain and improve this house) that I should just raze it and start over. But because I’d insist on reusing the uncommon amount of original materials in it, razing it would seem pointless. I’d just have a new-old house with level floors and no drafts. Thanks for all your good words! Jan, Sorry, I too must cheer old Asa on! He’s picked the right lady for the job of keeping the family home safe and sound! I hope you never have to cut those ties! I too have deep roots in New England but my restless ancestors left long ago, pulled by promises of land further west. I must have inherited their restlessness because I too have led a peripatetic life, much as my father and his father did. Tangled roots indeed! How lucky you are to have a family homestead! If I were in your shoes, I too would cherish it and pass it on. Good for you on deciding what’s meaningful for you and Kevin! Ross is in agreement I’m sure. 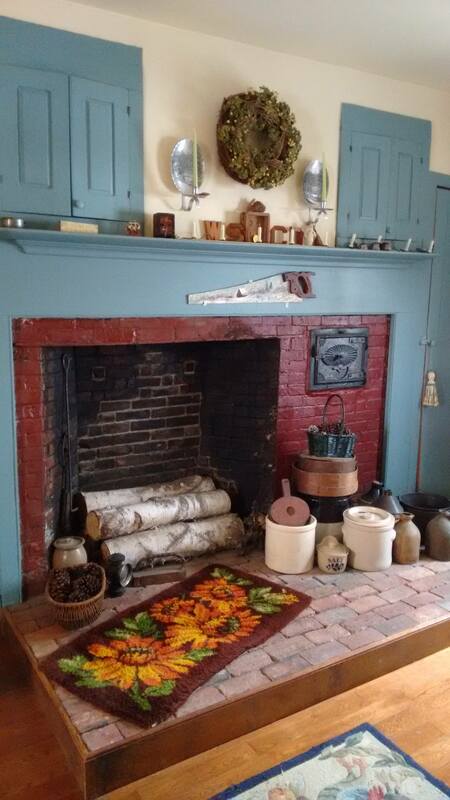 You have always been the historian and keeper of the home fires in the family! Well done Jan! What a wonderful story to have in your family tree. I haven’t found any ancestor who came to America and put down roots and stayed in one place. Most of them came to Virginia and traveled to Kentucky and maybe Illinois. But the folks who gave me a surname take the traveling troupe trophy! They started in New Hampshire ( as far as I have found, so far! ) in the 1745 era…and have lived in Vermont, New York, Michigan, Ohio, Kansas, Missouri, Oregon , California. ..and my grandfather ran away from home and moved to Kentucky.! I guess the nut didn’t fall far from the tree with me either, as I left Kentucky for Indiana and now live in Tennessee! One of my brother’s stayed in the old home town…but has lived in at least 6 different houses in Louisville. My ancestors didn’t stay long enough to leave very many records…just enough to tantalize and tease. I pray that you will enjoy your family home for many more happy years.